Playing in the neighbor’s yard or community park are common past times for kids of the 20th century. But this is now a rarity for kids today – especially those who are hooked on their gadgets. Given the importance of fitness in one’s overall well-being, everyone should be encouraged to participate in outdoor physical activities and sports. One way to do this is to provide kids with facilities like an outdoor sports pitch or playground. Sports facilities in the school and community provide kids with a venue to explore different physical activities. This helps promote physical, mental, and social wellness in the community. However, not all communities have ample sports facilities to service the needs of their residents. This makes it harder to encourage people to get into sports. 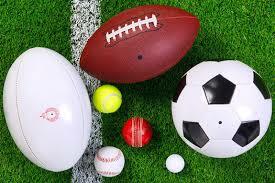 If you have extra space in your property then you may want to consider having your own outdoor sports pitch. This can be your contribution to sports and fitness in the community. You can also make money out of it by renting out the facilities for private events. The usual concern in building or installing an outdoor pitch is limited space and budget. But this can be solved by installing MUGA or Multi-Use Games Areas instead. According to FIBA rules a basketball court should measure exactly 28m x 15m while a tennis court would require space of about 23.77m x 10.97m. This means you will need a minimum of around 54m x 27m of space for both pitches. On the other hand a MUGA would only require around 37m x 18.5m and you can already play basketball, tennis, and netball in it. Aside from saving on space, MUGA also saves on the cost of building and maintaining multiple pitches. It would be great to have your own outdoor sports pitch. Aside from having free use of the facility anytime you want, you are also taking part in community building by encouraging kids to engage in sports and fitness activity. But if this is not possible, then you can simply involve your kids in sports activities in school and the community.